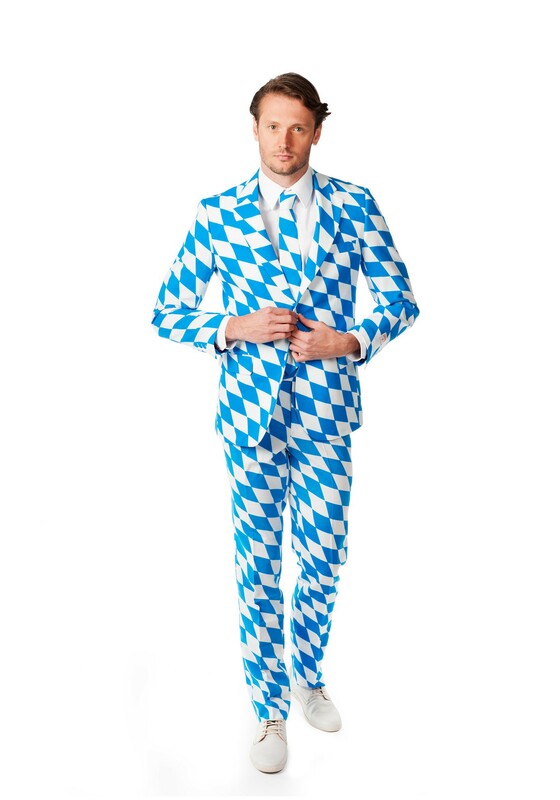 Do not be fooled by this suit's festive appearance - this is not a costume imitation of a suit. It is a real suit. It can, and should, be worn for professional appearances. (Those who wear this for non-professional purposes WILL be found!) 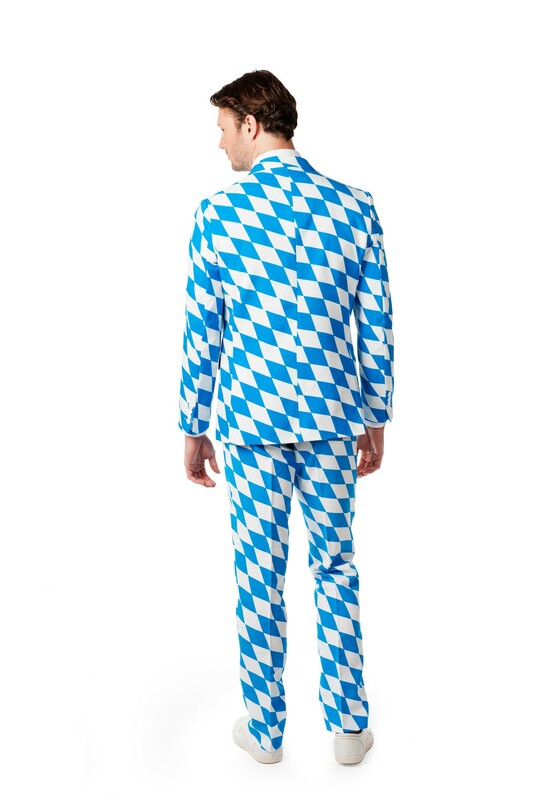 This Bavarian Suit for men by Opposuits is a unique look that is sure to get you noticed! Just a heads up though, people who have not yet mastered how to dress both classy and fun at the same time are going to be extremely jealous. (Okay, you can wear it if you're not planning on being professional while wearing it.) Wear this suit for your Oktoberfest celebration or for any time you want to rock a little old world style!